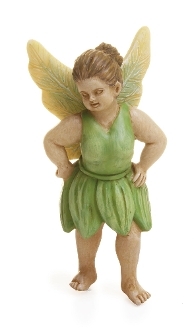 voluptuous & Sassy Fairy for Miniature Fairy Gardening. Fairies come in all sizes - and they are as happy as can be. A perfect way to add life to your Fairy Garden Store garden!